Make the most of your vehicle’s performance with proper wheel balancing and alignment services from Capistrano Ford. Does your vehicle pull to the left or right when you are driving? Is your steering wheel crooked when driving straight? Or, have you noticed uneven or rapid tire wear or squealing tires? If you answered yes to any of these questions it’s time to bring your vehicle in for wheel alignment service at Capistrano Ford. A vehicle’s alignment brings the car’s suspension into the proper vehicle manufacturer’s specification by adjusting components so that the wheels are aligned with each other and the road surface. A proper alignment squares the car’s wheels and axles with each other so that they are moving in the same direction. Each vehicle’s manufacturer designates standard angles for the alignment, specified in degrees which provide improved handling and performances as well as maximizing tire tread life. Capistrano Ford offers state of the art alignment equipment and service for most makes and models. Our service department offers a wide variety of automotive repair services and a fully stocked Tire, wheel and parts center. Tire Specials and parts coupons are frequently available. 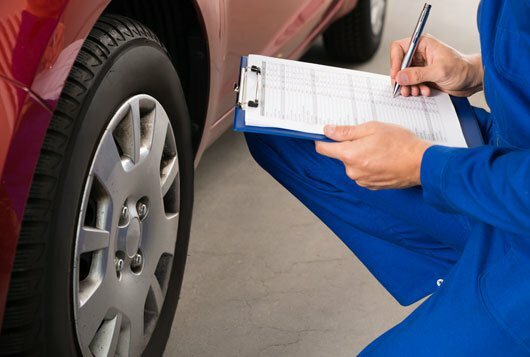 We offer late night service appointments and Quick Lane service for fast wheel and tire inspections. Questions about Wheel Alignment? Let us Help!